Google Hangouts for iOS has received a major update to allow users to make free phone calls to numbers in Canada and the USA–for free. 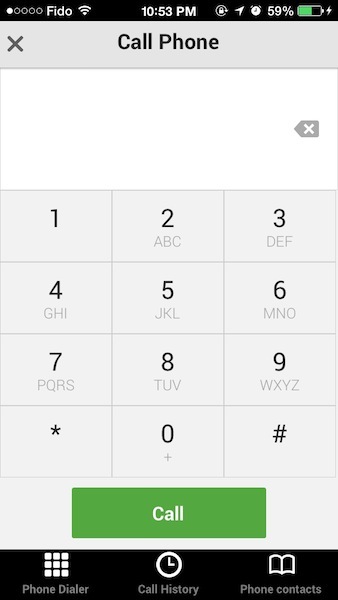 Users can also receive Google Voice calls as well. 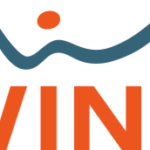 If you don’t have a long distance calling plan for Canada or USA calling, this means you can now use your data or WiFi connection to make free calls. 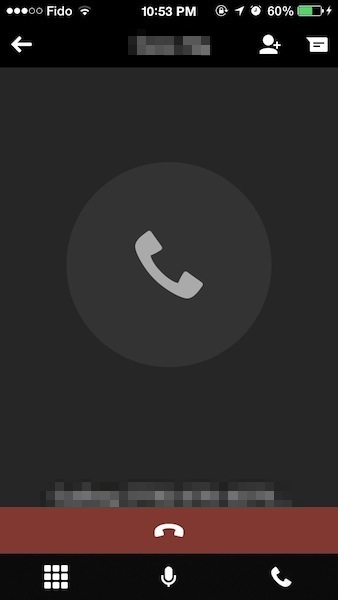 We tested the feature tonight and the quality was very good and passable (our caller ID showed up as ‘unknown’ though, since the assigning of Google Voice numbers is still limited to the USA). 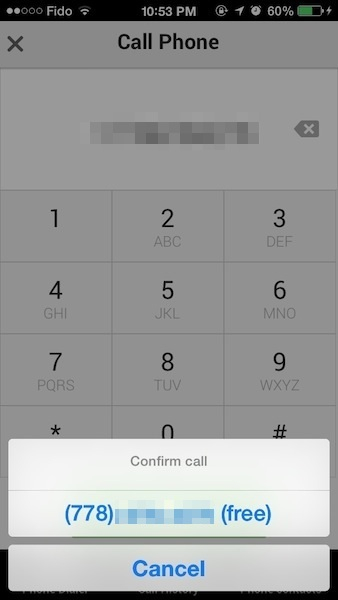 Users can use their iPhone, iPad or iPod touch to call phone numbers. Also new is the ability to send and receive animated GIFs. 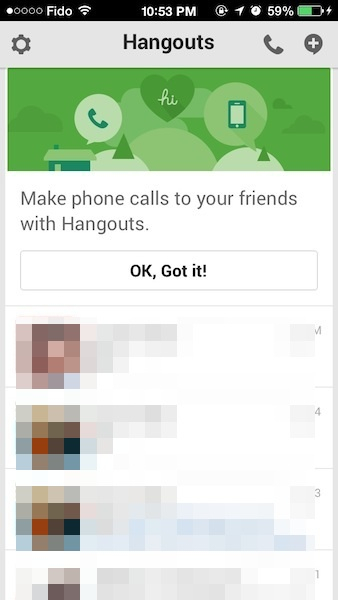 Click here to download Google Hangouts for iOS–it’s free. Let us know how you’re enjoying your free phone calls!